Ravina Dhaliwal’s final years of high school weren’t easy. As a new mother and a student working towards graduation, she juggled a lot of responsibilities. But with the help of her school’s aboriginal support workers, she stayed on track. 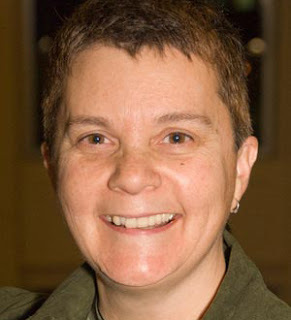 In fact, the experience inspired her to pursue her own career as an aboriginal support worker. Achieving that career goal is what drew Ravina to the Child and Youth Care program. As an aboriginal student, she was particularly interested in the unique learning opportunity provided through the program’s Aboriginal Stream. The Aboriginal Stream enabled her to start her program by taking courses developed in partnership with local First Nations groups and taught by First Nations and Métis faculty. She also completed a practicum as an aboriginal support worker at a local elementary school. 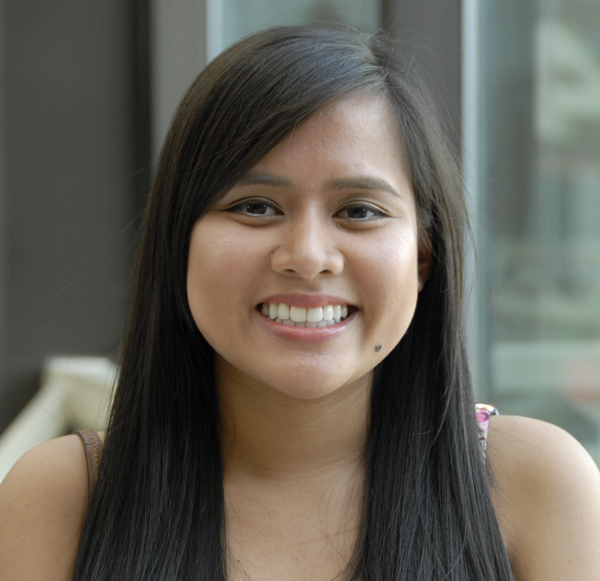 "My practicum experience was personally fulfilling,” she says. “But I also saw how I was making a positive difference for the students." Learn more about the Child and Youth Care program on the Douglas College website. 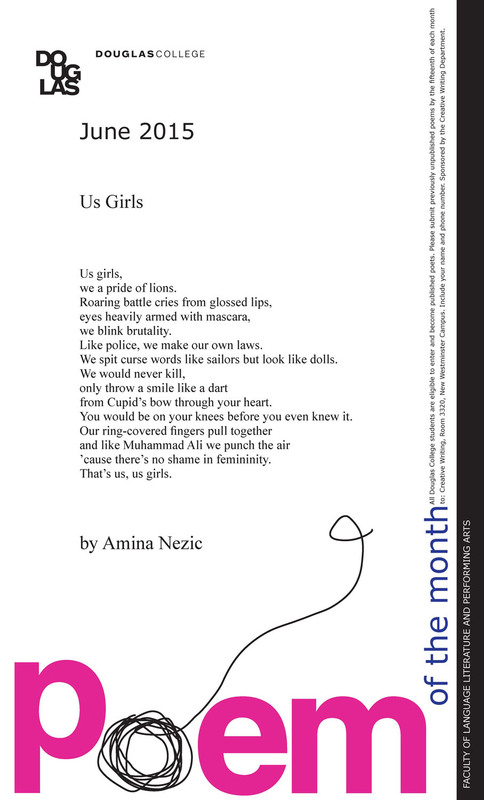 Click on the image to the right to see an enlarged version of this month’s poster, featuring "Us Girls" by Amina Nezic. 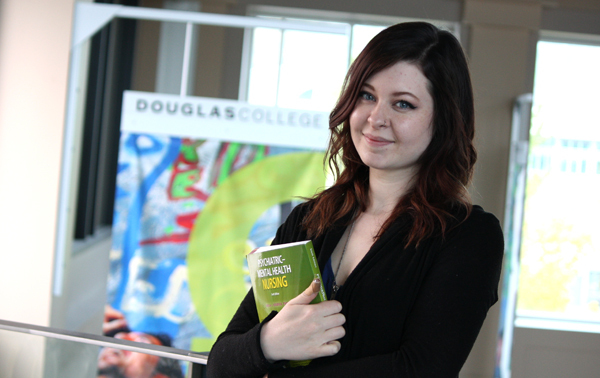 More information about the Creative Writing Department is available on the Douglas College website. You can also find our latest news releases on the Douglas College website. 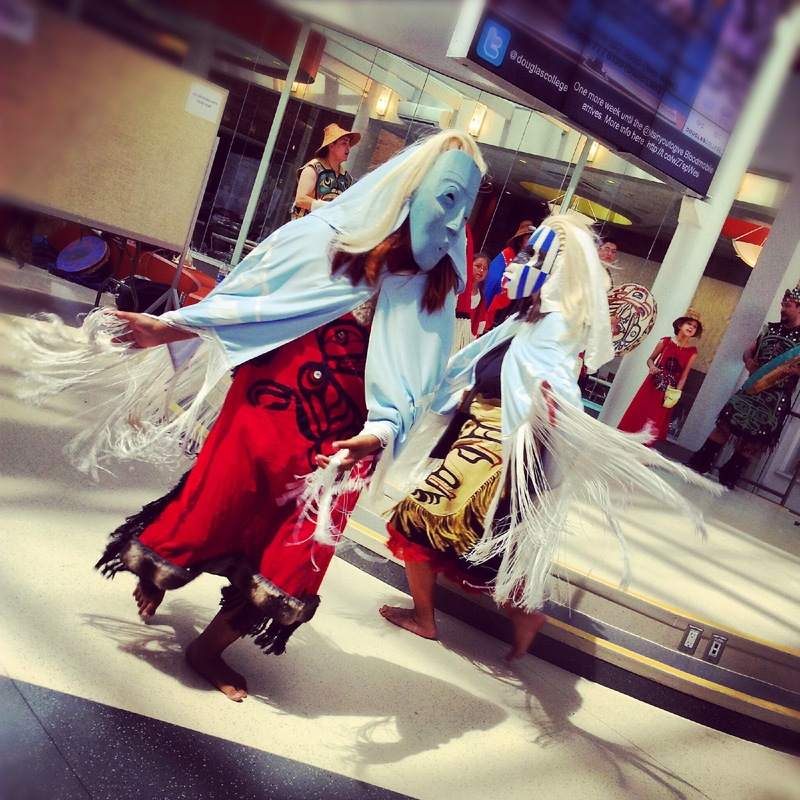 Join members of the Douglas College community to celebrate National Aboriginal Day! Events are planned at both campuses this week and everyone is invited. Learn how to cook bannock and taste your creation afterwards. Great with jam. 8:40‐9:25am: It’s Time! ‐ Challenges Canadians with this reality: if we don't improve our relationship with Aboriginal people, we will cripple our economy. 45 minutes. 9:30‐10am: Pow Wow ‐ Explains the powwow's evolution from the age of the buffalo hunt and warrior societies to the more social event it is today. 25 minutes. 10:15‐11:45am: Smoke Signals ‐ A humorous yet serious story about Victor, a young man who Director Chris Eyre describes as "trying to forgive his father." The movie gives us a glimpse into the contemporary Native American world. 90 minutes. 12‐1pm: Potlatch: A Strict Law Bids Us Dance ‐ Presents the history of the conflict between the Canadian government and the Kwakiutl Indians of the Northwest Pacific over the ritual of the Potlatch. 55 minutes. 1:15‐2pm: A Tribe of One ‐ A documentary about a BC woman who learned that she was a member of the New Westminster First Nation after believing she was Chinese and French. 40 minutes. 2:15‐3pm: In the Land of War Canoes ‐ The plot concerns the efforts of a young man, Motana, son of a great chief, to obtain a bride and how he is thwarted by a wicked sorcerer. 45 minutes. The B.C. government is providing $6 million to support training in the technology sector that will benefit students at Douglas College and other institutions. The recently announced funding will go towards the B.C. Innovation Council, which runs a co-op grants program that funds work placements at smaller tech companies for post-secondary students. The Co-operative Education Program at Douglas College gives students in a variety of programs the opportunity to alternate semesters of classroom study with semesters of paid employment. To learn more about the Co-op program, visit the Douglas College website. As a student in the Health Care Support Worker Certificate program, Melody Ondzik learned plenty about how to help improve the lives of people in need. But her experience in the three-semester program has given her more than just new skills and knowledge. The Health Care Support Worker program prepares students to work on the front lines of physical and mental health care, in a variety of settings. They learn how to assist clients with daily living and help them deal with psychosocial challenges. For Melody, making a difference in people’s lives is important. 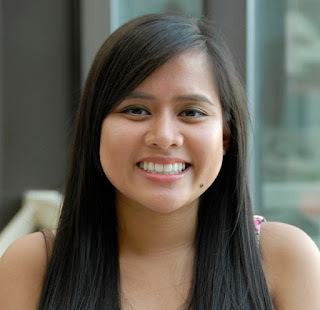 During her practicum placements, Melody got hands-on experience helping people in need. She worked directly with clients in assisted living, a seniors care centre and at other sites. She found it rewarding to help clients with the small but important daily activities, enabling them lead healthier and happier lives. To learn more about the Health Care Support Worker Certificate program, visit the Douglas College website. Interested in philosophy? Everyone is invited to a public lecture at Douglas College by Raj Singh, from the Brock University Philosophy Department. 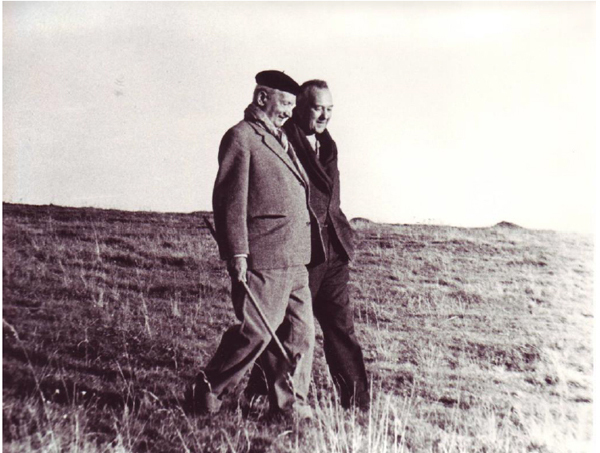 Singh's talk--titled "Heidegger on Being, World, Dwelling and Thinking"--is being presented as part of the Summer Institute for Continental Philosophy at Douglas College. 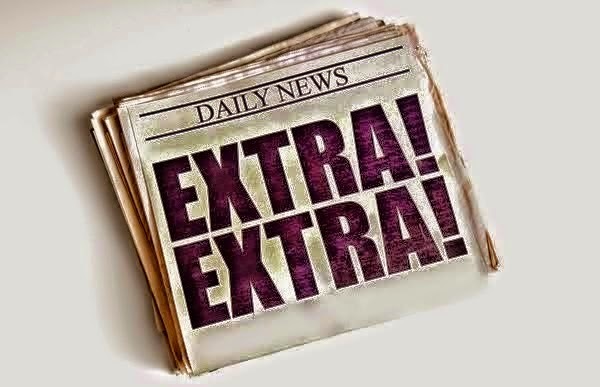 The event takes place Thursday, June 25, 6:30-8:00pm in Lecture Theatre 2201 on the New Westminster Campus. A reception will follow. The Douglas College New Westminster Campus is located at 700 Royal Ave, New Westminster, two blocks north of the New Westminster Skytrain Station. Explore. Plan. Design. Create. Sound appealing? It's what engineers do every day, using the principles of science and mathematics. And, there's no better place to get started than Douglas. 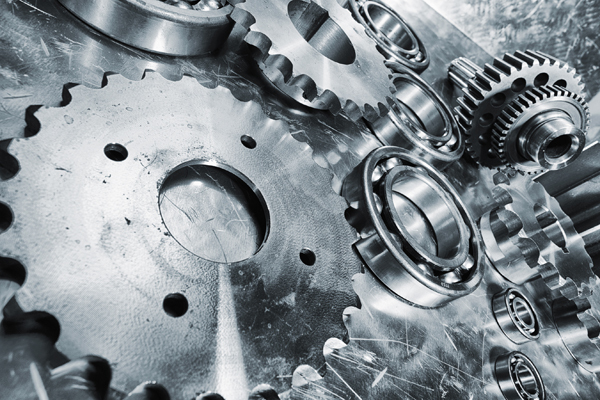 We've got two new engineering programs in the works for this year: the one-year Engineering Foundations certificate, and the two-year Engineering Essentials diploma. If you're planning on heading to university, specifically UBC, then check out the one-year certificate, All courses transfer to UBC's school of engineering, and you'll be able to improve your GPA and save a bit of money by starting at Douglas. The two-year diploma program is where you can really start getting into the fun stuff. The second year allows students to build and design real-world applications - robots and Raspberry Pi's - and use fabrication technologies such as waterjets, laser cutters and spot welders. You'll be eligible for co-operative education, and networking opportunities will also be arranged for students. Both programs are planned to start this year. To find out more about either program and get your name on the wait list you can attend an information session on Thursday June 11, 5:30-7pm, in room 3903 at the New Westminster Campus, or contact Barb Allen, program coordinator, at 604 527 5427 or by email. This week has been a time for celebration for the many Douglas College students who walked across the stage as part of the Winter graduation ceremonies. "Douglas got me started on my goal of becoming a CPA. It also has provided an excellent way to network with other future professionals in my field." "Douglas has helped me to achieve my goals by creating a sense of community in campus, both in and out of the classroom. 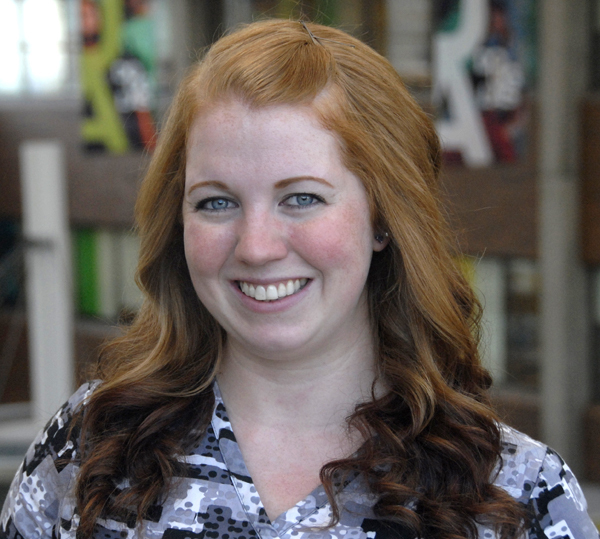 As an active volunteer in a variety of areas on campus, I never felt isolated." "I just wanted to give a big thank you to my instructors at Douglas College: Janet, Denise, Claudia, June, Wayne, David, Alicia and Diana. It was evident that they really care about their students and love teaching." 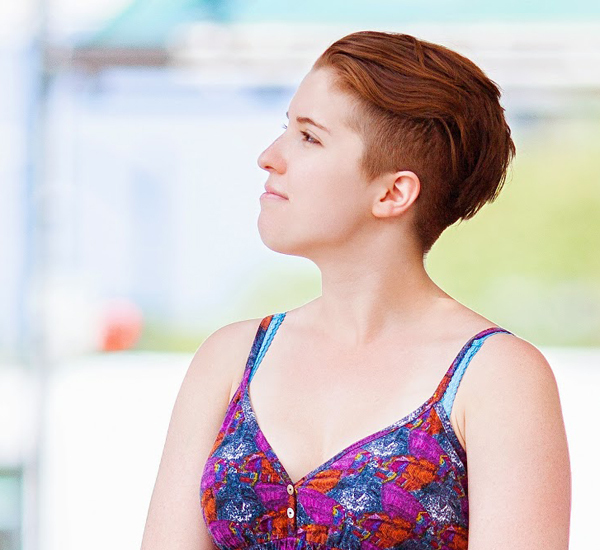 "My time at Douglas College was packed with happiest of memories, so to pick one out is really hard. 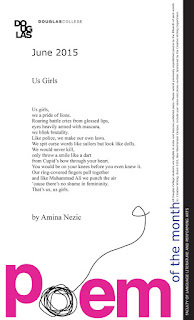 I would say looking at a human eye under the slit lamp / biomicroscope for the first time was a unique experience." "My best memory at Douglas college is my first day in the program. I came in not knowing what to expect and I walked into a room filled with friendly and excited students and teachers that welcome us excited to teach." 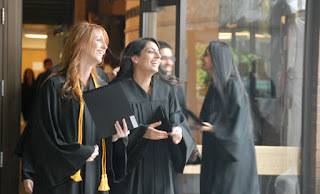 "I have lots of great memories of Douglas College. I started at the college as a special entry student, so I was able to make friends across all graduation years. Particularly when I joined the class I am graduating with this year, I suddenly felt that this was the group of people I belonged with." "Well, there is no way I would be living my dream right now if I hadn’t been accepted into the CYC program. I believe that the program was a perfect fit for me in that it enhanced and built upon the skills and abilities that I brought to the program." Karina Hayat has some simple advice for college students who aspire to one day start their own business. “Just absolutely go for it. Don’t be afraid—because you only live once,” she says. Hayat knows plenty about what it takes to become a successful entrepreneur. 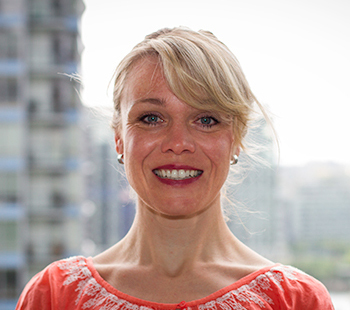 She is the co-founder and president of Prizm Media, a multi-million dollar healthcare marketing company. In the early 2000s, while studying biology and other subjects at Douglas, she co-founded the business with Zeeshan Hayat, then her partner and now her husband. While their initial goal was to supplement their income, the business soon became the focus of their careers. Prizm Media is now a well-known success story in the health and wellness sector. The company has generated millions of leads for its clients and seen revenue grow by over 1,200 percent in recent years. Hayat is also this year’s recipient of the Douglas College Distinguished Alumni Award. Originally, Hayat had planned to study nursing after Douglas. But when the business began to take off, she decided the right move was to become a full-time entrepreneur with her husband. “We taught ourselves everything we could about online marketing and that became the passion,” she says. “Don’t be shy. Ask. The worst thing you’re going to get is a ‘no’ and then you just move on to the next person,” she says. “It doesn’t matter if you are at an entry level position or if you plan to be a CEO one day. Leadership is really essential in order to work with a team,” she says. “When you need help you should seek out people that have that expertise and not be shy to look within and say ‘well, I don’t know this,’” she says. For Wally Oppal, one of the most challenging roles of his career involved overseeing the provincial Missing Women Commission of Inquiry. As commissioner, the lawyer and former judge was appointed to look into women reported missing from Vancouver’s Downtown Eastside in the years leading up to the arrest of serial killer Robert Pickton. In 2012, after extensive public hearings, Oppal delivered a 1,400-page report that condemned the police investigations and recommended changes to protect women and improve policing. On June 3, Oppal will visit Douglas College to deliver a speech during the graduation ceremonies and to receive the institution's highest distinction—Honorary Fellow. Raised in B.C., Oppal began his legal career in private practice after graduating from the University of B.C. Law School. He later served as a judge for the County Court of Vancouver, the Supreme Court of B.C. and then the B.C. Court of Appeal. He also delivered a landmark policing report in 1994 that led to many significant changes in policing. 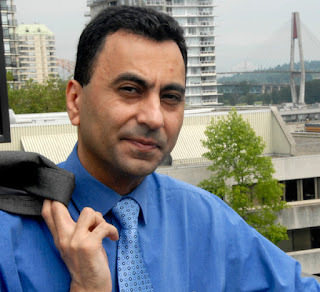 In 2005, Oppal was elected as MLA in the riding of Vancouver-Fraserview. During his time in provincial cabinet, he served as attorney general and minister responsible for multiculturalism. Looking back on his career, he credits his mother for giving him a strong work ethic and he expressed gratitude for the opportunity he’s had. “I’ve been very fortunate to have received many of the breaks that I’ve received,” he says. 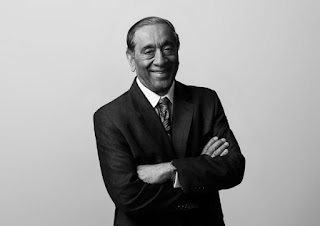 At present, Oppal is Chancellor of Thompson Rivers University and practices at the Vancouver firm Boughton Law.